I know that every word you’ve written is true. We attend an open and affirming church, and people from every journey are not just welcomed – they are loved. Even so, regardless of generous and open hearts, I hear the occasional worry that some of our “older” parishioners won’t be “comfortable” – and may leave. I think it is sad that people pre-judge our senior citizens. They may need a bit of awareness- coaching, but they are capable of changing their opinions, their minds and their hearts. I was concerned when my 86 year old mom would react when she moved back up north, from Florida. I wasn’t sure how she would react to our wonderful church. Oh, how I underestimated her! Miracles happen when the truth is spoken in love. I love this Karen. I’m so happy to hear that. It is rather amazing that everyone must come to the same position as you within your time limit. It took you 63 years to arrive at your conclusion with the force of transgenderism pushing you. Now if we don’t agree with your position, within your time limit, we are endangering the lives of children? Of course I know you won’t post this — like my last two comments. I am still studying the subject, reading your blog and trying to understand but you have written me off. Sound familiar? If you still believe that living openly as an LGBTQ person is wrong, then a more conservative church is probably where you should be. But if you are open and affirming toward the LGBTQ population, then I believe it is not where you should be. Lives are at stake. I did not realize that before I transitioned. I do now. When we know better, we do better. Thanks for bringing the full picture to light. 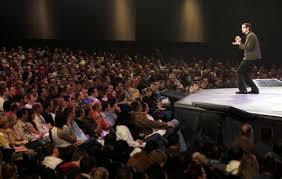 I don’t attend a megachurch, but it is helpful to hear the clear path through all the retoric. Having worked with so many LGBTQ individuals either directly rejected by a church or family members who are church-influenced, I say bravo to you. Like you, I am rather surprised at people I know who attend the bldr cty megachurches you mention. Really? Thank you, as usual! For many reasons, too many to list here, I FEEL,not know, that acceptance the way you want it (i.e. “The Way It S’pozed to Be”) will happen but take much longer than we WANT….that arc that MLK talked about is still a straight line when I see it…I just have to know that looking at it from a long enough distance (as one sees the curve of the earth only from space)the straight line I see, IS , in fact, an arc!…. (I work better w/ visuals Thank God you are around to put words to it “:^ )…..